During the final ten days of December, we will be posting our top ten articles from 2015. Today’s post came in at number 4. It was originally published on November 12. Dr. Nathan Busenitz on how evangelicals should view Seventh-day Adventism. A seminary student recently asked me to address those questions. Today’s post gives me an opportunity to do just that. The Seventh-day Adventist church began as a distinctive movement with the teachings of a lay preacher named William Miller (1782–1849). Miller embarked on a personal study of Scripture (and particularly Daniel 8:14) which convinced him that Christ would return between March 21, 1843 and March 21, 1844. When that prediction failed, Miller and his followers adjusted the date, determining that October 22, 1844 would be the day of Jesus’ second advent. But the Lord did not return on October 22, 1844, and Miller’s followers (known as Millerites) experienced what they called ‘the Great Disappointment.’ Most of Miller’s followers realized his predictions had been wholly mistaken. But a small group of Millerites (from whom the Seventh-day Adventists emerged) insisted that the date he identified could not have been wrong. They claimed Miller’s error was not in his mathematical calculations, but rather in what he expected to take place on that date. Consequently, they concluded something significant occurred in 1844, even if it was not Christ’s second coming. By the early 1840s, the Millerite movement had expanded into a huge international phenomenon. In one five-month span in 1843, 600,000 copies of Millerite literature were distributed in New York alone. People sold their homes, gave away their possessions, and gave up their livelihoods in order to demonstrate their faith in William Miller’s predictions. Of course, Christ did not return—not in Miller’s lifetime; not even in that century. Miller tried adjusting his dates a time or two, but he himself gave up hope of finding a way to adjust his calculations to keep the expectation alive. He died baffled and disillusioned. He never joined the Seventh-day Adventists himself. But out of ‘the Great Disappointment,’ the Seventh-day Adventist movement was born. So, what do Adventists believe occurred on October 22, 1844? 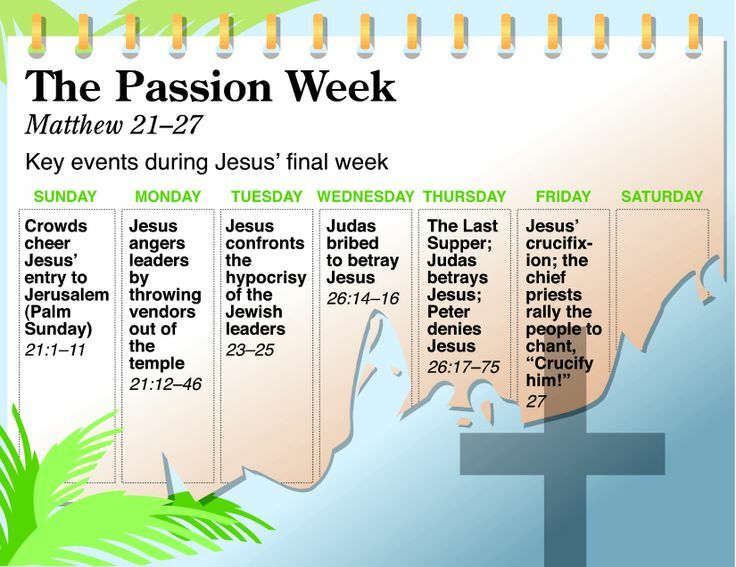 According to SDA teaching, Christ is currently performing a final work of atonement and investigative judgment in heaven as the church’s great High Priest. On October 22, 1844, He moved from the heavenly Holy Place into the Holy of Holies to complete that atoning work. This creative explanation for Miller’s failed prediction was bolstered by the teachings of a young woman named Ellen Harmon (1827–1915), who reportedly began experiencing visions in 1844, shortly after the Great Disappointment. Regarded as a prophetess, Harmon (known by her married name, Ellen G. White) embarked on a prolific teaching and writing career. Her biblical interpretations and supposed revelations became the primary basis for the SDA movement. Today there are some 18 million Seventh-day Adventists worldwide. How Should Evangelicals Evaluate the SDA Movement? Some evangelicals believe Seventh-day Adventism ought to be openly embraced as simply another denomination. I disagree. Historically, evangelicals and fundamentalists regarded the Seventh-day Adventist movement as a cult. And in spite of the ecumenical spirit that has pervaded evangelicalism over the last few decades, there are still major deficiencies within official SDA theology that ought to give evangelical Christians serious pause. 1. An Unbiblical Understanding of Christ’s Work of Atonement. Any notion that Christ needed to perform an additional work of atonement in heaven (as SDA theology teaches) runs contrary to those verses, and mitigates against the once-for-all nature of His finished work on Calvary. There are major deficiencies within Seventh-day Adventist theology that ought to give evangelical Christians sErious pause.In the Old Testament, when the high priest went into the Holy of Holies (on the Day of Atonement), he entered into the presence of God’s shekinah glory (Lev. 16:2). The SDA teaching that Christ did not enter the heavenly Holy of Holies until October 22, 1844, inaccurately implies that the Lord Jesus did not enter the glorious presence of God until that date. But that is clearly not what Scripture teaches (Acts 7:55–56; Rom. 8:34; Eph. 1:20; Col. 3:1; 1 Pet. 3:22). Once inside the Holy of Holies, the high priests of Israel were instructed to perform their duties quickly and leave. As sinners, they were not permitted to tarry in God’s presence. But when the Lord Jesus entered His Father’s presence, He sat down (Mark 16:19; Luke 22:69; Heb. 1:3; 8:1; 10:12; 12:2)—not only because He was perfect, but also because His atoning work was fully accomplished. Through His redemptive work at Calvary, Christ provided access into the presence of God for all who belong to Him (Heb. 4:14–16; 10:19–20). The veil that separated the Holy of Holies from the Holy Place was torn in two at the moment of His death (Mark 15:38), not eighteen centuries later. To claim that Jesus waited until 1844 to enter a heavenly Holy of Holies undermines the full and final work of atonement He accomplished at the cross. It should also be noted that this SDA doctrine, in which Jesus began a work of “investigative judgment” as part of His final atoning work, runs contrary to the biblical doctrine of justification by faith. Because this investigative judgment focuses on the works that Christians perform, it mitigates against the truth that believers are saved by grace alone through faith alone on account of Christ alone. 2. An Improper Elevation of Ellen G. White as an Authoritative Prophetess. As evangelical Christians, we look to Scripture alone as our ultimate authority. We understand that God’s Word is inspired, inerrant, authoritative, and sufficient (cf. 2 Tim. 3:16–17). Consequently, we reject any other would-be spiritual authorities that might place themselves in a position above or equal to the Bible. Seventh-day Adventists similarly insist that the Bible is their only creed. But that assertion is called into question by their simultaneous commitment to the prophecies of Ellen G. White, which they view as authoritative for the church. Although most Seventh-Day Adventists will try to downplay the stress they place on Ellen White’s writings, they do in fact believe Mrs. White was divinely inspired and her books are revelations superior to every other resource and every other truth claim outside the Bible. Such constitutes an obvious problem. It is clearly less than an evangelical affirmation of the authority and sufficiency of Scripture. 3. A Legalistic Emphasis on the Sabbath and Dietary Laws as Binding for Christians. The New Testament teaches that the Mosaic Law is fulfilled in Jesus Christ (Matt. 5:17), and that Christians are no longer under the Old Covenant (Luke 22:20; Rom. 6:14; 2 Cor. 3:3–6; Gal. 3:24–25; Heb. 8:6, 13; Heb. 10:17–18, 29). Old Testament restrictions regarding dietary laws (Mark 7:19; Acts 10:9–16) and the observance of the Sabbath (Col. 2:16) are not binding on believers in the church age. To insist that they are, and that Christians must observe them, constitutes legalism. Therefore no one is to act as your judge in regard to food or drink or in respect to a festival or a new moon or a Sabbath day—things which are a mere shadow of what is to come; but the substance belongs to Christ. In spite of clear New Testament teaching to the contrary, Seventh-day Adventists insist on both the observance of the Sabbath (worship on Saturday) and the keeping of certain dietary laws. For her part, Ellen G. White taught that in the end times, those who meet on Sunday, rather than on the Sabbath, will receive the mark of the beast and therefore cannot be saved. As one SDA publication explains, the Sabbath “lies at the very foundation of divine worship,” and “the Bible reveals that the observance of Sunday as a Christian institution had its origin in ‘the mystery of lawlessness’ (2 Thess. 2:7)” (Seventh-day Adventists Believe…, 249, 260). But this runs contrary to the New Testament pattern of meeting on the first day of the week, the day on which the Lord Jesus rose from the dead (Matt. 28:1; Acts 20:7; 1 Cor. 16:1–2; Rev. 1:10). Regarding dietary laws, Fundamental Belief #22 asserts: “Along with adequate exercise and rest, we are to adopt the most healthful diet possible and abstain from the unclean foods identified in the Scriptures” (Online source). The statement goes on to cite Leviticus 11 as part of its Scriptural support for this doctrinal distinctive. This is why Seventh-day Adventists are largely vegetarian. But even if we, or an angel from heaven, should preach to you a gospel contrary to what we have preached to you, he is to be accursed! As we have said before, so I say again now, if any man is preaching to you a gospel contrary to what you received, he is to be accursed! Those are strong words. But they are not mine. They are Scripture’s assessment of any group that would add legalistic works to the gospel of grace. It should be noted that Seventh-day Adventists espouse a number of other unorthodox theological distinctives (such as soul sleep [Fundamental Belief #26], the annihilation of the wicked [Fundamental Belief #27]), and (at least historically) the insistence that they are the only true church). However, the primary issues that separate Seventh-day Adventists from biblical Christianity are (1) their unorthodox view of Christ’s work of atonement; (2) their illegitimate elevation of Ellen G. White’s prophecies; and (3) their legalistic insistence that believers are bound to observe the Sabbath and Mosaic dietary laws. All three of these issues touch fundamental doctrines of the Christian faith. It is for that reason that evangelicals ought to view SDA theology with great caution. Upon examination, its doctrinal distinctives fall short of biblical orthodoxy. For an important follow-up to this article, click here. The post Top Ten Countdown: Evaluating Seventh-day Adventism appeared first on The Master’s Seminary. This entry was posted in Apologetics, Biblical Theology/Doctrine, Culture on December 28, 2015 by Truth2Freedom.